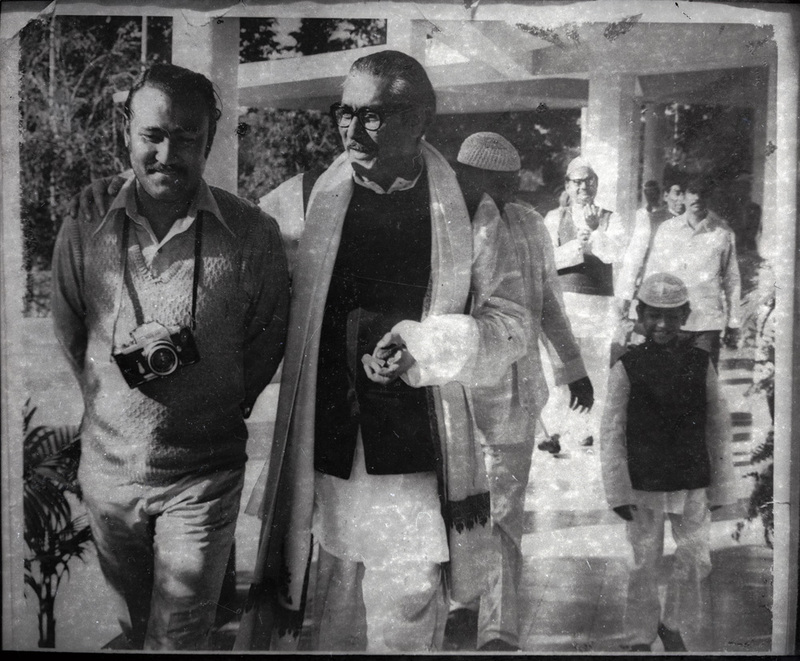 Photographer Rashid Talukder and Sheikh Mujibur Rahman (photographer unknown)/Drik archives. No less a Bangali Mujib responded: tahole ami o khabo na. tui ki chaish amar cheler biyete ami na khai? OK, so I too won’t eat. Is that what you want, that I not eat at my son’s wedding? Rashid Bhai relented. Food was brought. The two men sat side by side and ate. The use of the word ‘tui’ which Mujib often used, is one of extreme familiarity with multiple connotations. It can denote status, hierarchy and familiarity, and shifts with situations. Mujib was famous for the way he used it. Seamlessly switching between tui, tumi and apni as needed, and with marvellous ease. It was this trait of the man that we have forgotten. Mujib was a great leader and a great politician. Like many revolutionaries who became statesmen, he too made mistakes. Some significant. In the end, he was a man, with human triumphs and failings. In our polarized political environment, we have either deified or demonised the leader and the man has never been able to surface. His humility, his closeness with the people, his ability to be ordinary, was perhaps his greatest strength. A strength we have not recognised and certainly not emulated.